Are you getting the speed of service you need and expect from your current repair company? Why does your service tech never have the part, or the part takes days to get it? If we don’t have the part, we’ll get it, or have it FedExed overnight at no charge. 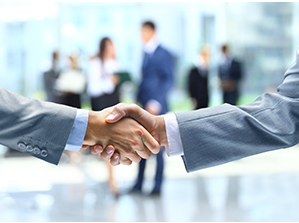 Does your current service provider have a high employee turnover? 80% of our techs have been with RRC five years or more! Tired of waiting for our competitor’s technicians to show up? Did your service tech show up late, sloppy or act unprofessional? All of our RRC techs are trained to extend our expectations of total professionalism. Are you wondering if your current tech knows what they are doing? Restaurant Repair Company only sends experienced and well trained technicians to your restaurant. The Restaurant Repair Company’s home office is located in San Antonio, serving all of Texas including Austin, Dallas, Fort Worth, Houston, Corpus Christi, Waco and every city in between. 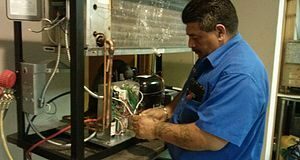 At Restaurant Repair Company, we specialize in air conditioning, broilers, buffet & bar food equipment, charbroilers & grills, cooking equipment, deep friers, dishwashers, heating, food & condiment dispensers, food display & merchandiser, food preparation equipment, food warming & hot food holding cabinets, freezers, grills, hot plates, HVAC, ice makers, mixers, ovens, ranges & cooktops, refrigeration, slicer, ventilation, water & beverage equipment, water heater & sanitizers, water filters and so much more! In conclusion, if it is a piece of commercial equipment, and it is in your restaurant, commercial kitchen or residential kitchen, we can service it. All you need to do is contact us, and we will have a technician dispatched to your location immediately. Open 24/7, 365 days a year! We are authorized to service your warranty for most equipment manufacturers. 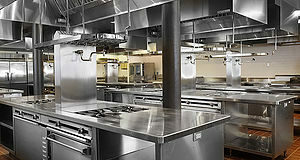 Our focus is on commercial kitchens, but if it is in a kitchen, even residential, we can service or repair it. Your #1 source for Walk In Coolers & Freezers, Food & Beverage Displays, Ice Machines, Produce Cases service and repair. Same Day Service & Emergency Service for Air Conditioning & Heating (HVAC) service and repair. Improved taste, smell and clarity of water – clean, clear, consistent water is vital to your food service operations! Increase the lifespan of your commercial equipment investment with regular preventative equipment maintenance. We are authorized warranty for most equipment manufacturers. We also require our technicians to complete 25 hours of training per a year. 50 hours if it is the technicians first year. All of our technicians have Windows 8 tablets. Our dispatch system sends your service call to the appropriate tech’s tablet and routes them to you as fast as possible. 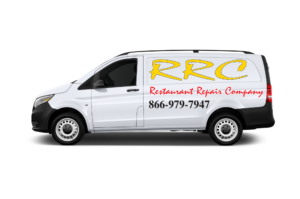 The Restaurant Repair Company has been in the restaurant service industry for over 25 years. If it’s a piece of equipment or an appliance we can fix it. The restaurant business is demanding and challenging, especially when it comes to maintaining equipment. I highly recommend Restaurant Repair Company. Its owner, Ted Baker, whom I’ve known for some 20 years, has always treated me competently, fairly and efficiently over the years at my three restaurants, Boccone’s Italian, Bambino Huey Café and DiLiberto’s. I’m happy to recommend this business to restaurant owners. Their service and prices have always been very reasonable. I have also been pleased with the equipment I bought from them. I’m happy to recommend this business to restaurant owners. 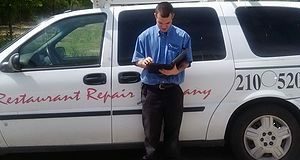 QUESTIONS ABOUT A REPAIR? ASK OUR EXPERTS. CALL NOW! When you talk about a restaurant almost everyone in the industry knows what food costs and labor costs mean. And if you have a good manager, controlling these two costs are not that difficult. To make profit in any business all one must do is control costs. But in a restaurant, there is one great big unknown that makes it difficult to control costs. That one big thing is maintenance and repairs to your equipment and building. How is it possible to control costs if your walk in or your ice machine goes down and it is ten thousand to repair them? Make one small change. Assign that percentage amount every month, pay it each week and pay 100% of that amount ONLY to the Restaurant Repair Company. We will provide you service on every single appliance in or on your restaurant and for one price each week (the same price) we will repair everything no matter how many times it breaks. Our one price includes all parts, labor, shipping, overtime, supplies, Freon and taxes. So now, R&M can be the same as Food and Labor costs; it never changes! The comfort and security of knowing, in advance, what you will be spending each week on R&M no matter what breaks! Always having everything in working order 100% of the time! How much happier your employees will be knowing that when something breaks in your store, it is repaired instantly. If this idea appeals to you then call and set up and appointment and we will come to you and answer all your questions, get you signed up and end all your maintenance and repair problems; FOREVER! STATEWIDE CHALLENGE. WORLD CLASS RESPONSE. The Restaurant Repair Company is now selling used restaurant equipment. We have over 200 items in our warehouse. If you are interested please contact us for an inventory list, and pricing.